Michelle is the daughter of Dr. Papademetriou and Dr. Smith and was born and raised on the island of Cyprus. During her summer breaks, she assisted in her parents practice in Cyprus which the doctors had for 20+ years. 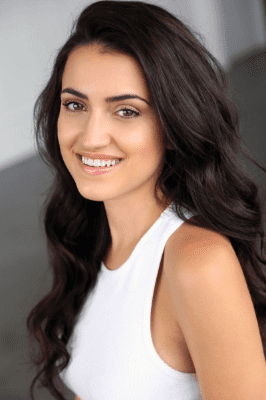 After graduating from high school in Cyprus, Michelle moved to the United States to pursue her bachelors degree at the University of Arizona, graduating with a B.A in Theatre Arts with a minor in psychology and philosophy with an emphasis in neuroscience. She also studied at the University of Greenwich in London, England focusing on psychology. Michelle wears many hats in the office. Aside from being the office manager, she works the front desk, works with the doctors and patients during their new patient exams, creates the financial plans and contracts, does the coding and billing, insurance claims, administration and design and marketing. When she is not in the office Michelle teaches Pure Barre in Scottsdale and North Scottsdale. She has over 15 years of classical ballet training through the Royal Academy of Dance. Asside from dance and fitness, her passion is ultimately in the film industry as an actress. She worked on many stage productions growing up as well as film, commercial and tv sets while living in Los Angeles. This allowed her to join the union making her a SAG-AFTRA member since 2014. Some of her favorite memories were working on the tv shows "Glee" and ABC's "How To Get Away With Murder", working as a body double and stand-in on ABC's "Switched at Birth" and winning the award for "Best Actress" at a film fesitval in 2013. Michelle also loves spending time at home with her pomeranian Coco!